It has been two days since the Australian Youth Orchestra’s concert at the Opera House, and I’m having what has affectionately been coined as ‘AYO withdrawls’. My pain is deep and true, longing for the days gone by. For the first concert of AYO’s 2015 July Season, the orchestra took to Melbourne’s Hamer Hall to deliver an exceptional performance. Tegan, a percussion player was met with a challenging repertoire, rose to the challenge and delivered a sensational performance. Tegan gives us an insight into the Melbourne rehearsals, tells us how the percussion section conquered Mahler’s 6th Symphony, and recounts her most memorable AYO experiences. 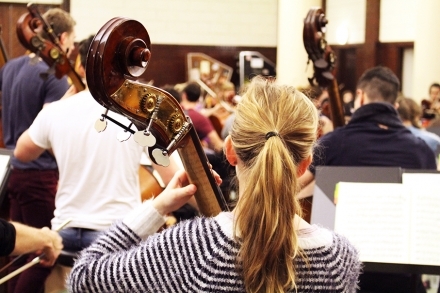 Our orchestra is sounding phenomenal as they rehearse with Mark Elder in preparation for our July Season concerts in Sydney and Melbourne. In between tutti, sectionals, and professional development, the musicians have gotten a chance to get to know each other better and explore the city of Melbourne. One of our exceptional trumpet players, Michael Olsen, gives us an insight into his experiences of July Season. 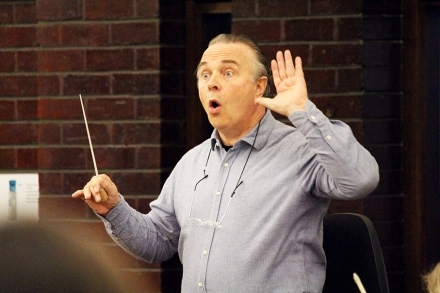 July Season rehearsals are off to an incredible start, with our musicians rehearsing under the baton of Sir Mark Elder. 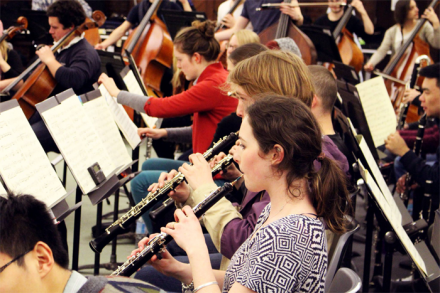 The ensemble has been rehearsing at Melbourne’s Drill Hall before their concerts at Melbourne’s famed Hamer Hall and the Sydney Opera House next week. 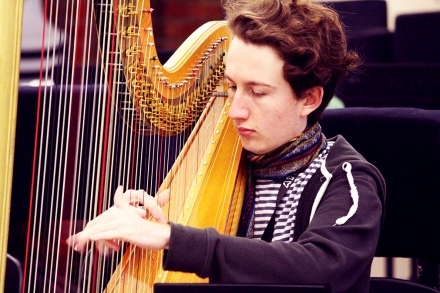 Our musicians have come from all over Australia to prepare an exceptional repertoire for the shows. Talented violinist Molly Collier-O’Boyle gives us a taste of AYO’s adventures in Melbourne.